Traveling is all about feeling inspired, enjoying new experiences and collecting magnificent memories. And all of that begins with learning a thing or two about your destination! Ready to discover a few basic details about Vacri? 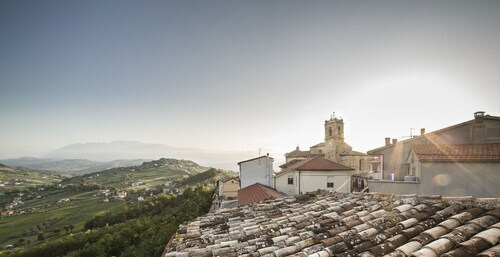 This town lies 6 miles (10 kilometers) southeast of Chieti. It's also 8 miles (13 kilometers) southwest of Ortona. The population of this area of Abruzzo is roughly 300. Get fantastic savings on travel packages via Travelocity. Simply choose from upwards of 400 airline partners and 665,000 places to stay, and you'll be off to Vacri in a jiffy! From accommodations and airfares to experiences and car rentals, you've got the security of 24/7 personal assistance with our Customer 1st Guarantee. If you somehow discover a cheaper deal somewhere else, we will return the difference^. If you decide to adjust your travel plans for any reason at all, there won't be a fee from our end. And as long as you get in fast, most accommodations don't charge extra fees either^. When should you organize someplace to stay in Vacri? As soon as you can! Get in quick in order to nab the best of the 6 properties that can be booked through Travelocity. 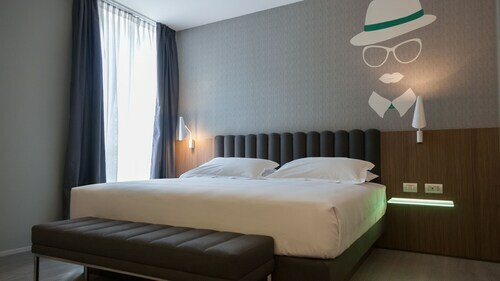 If you're searching for somewhere luxurious to rest your weary head, slide between the silky sheets at the Harris Hotel Chieti (Via Padre Alessandro Valignani 219). Vacri also features accommodations that won't break the bank. Check the rates at the Castello di Semivicoli (Via San Nicola 24, Semivicoli) if you're eager to keep those pennies in your pocket. Where do you fly into for Vacri? Flying into Abruzzo International Airport (PSR)? Once you jump off the plane, the heart of Vacri is about 10 miles (16 kilometers) from here. Hail a cab and take a deep breath — your vacation has only just begun! Can I rent a car in Vacri? Getting off the beaten path is always an excellent way to experience the local culture. So, how about doing it from behind a steering wheel? Book a rental car via Travelocity and get set to crank up the tunes in Vacri. Flying into this destination by plane? Sort out a vehicle at the start of your journey at Abruzzo International Airport. Europcar and Fox Rental Cars are worth looking into. Add a little refinement to your vacation with an outing to Il Feuduccio. Explore the winery, take a tour and enjoy a sample or two of the finished product! Need more options? Fine wine lovers shouldn't miss the chance to enjoy some unique blends and warm hospitality at Cantina Sociale. But there's more. Monumento ai Caduti stands as a reminder of history. Find out why this tribute was built and understand more about local heritage and accomplishments. Stay in Vacri for its distinct character and style. Though, there are also world-renowned tourist attractions close at hand! Tourists from all across the globe head to Piazza del Duomo. You can access it easily from Ocre, 40 miles (64 kilometers) away. This family-friendly Vacri guesthouse is located in the historical district, 5.6 mi (9.1 km) from Monumento ai Caduti, and within 12 mi (20 km) of Miglianico Golf Club and Archeological Museum la Civitella. Teatro Marrucino and Museum d'Arte c. Barbella are also within 12 mi (20 km). Located in the heart of Pescara, this property is within a 15-minute walk of Villa Urania Museum, Piazza della Rinascita, and Teatro Circus. Pescara Beach and Fontana La Nave di Pescara are also within 15 minutes. Pescara Central Station is only a 4-minute walk and Pescara Porta Nuova Station is 23 minutes. 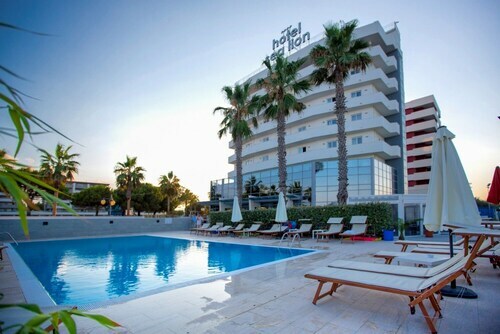 Situated by the ocean, this hotel is within a 5-minute walk of Montesilvano Beach and Montesilvano Convention Center. Porto Allegro Mall and Pinewood Nature Reserve of St. Filomena are also within 1 mi (2 km). Montesilvano Station is 14 minutes by foot. 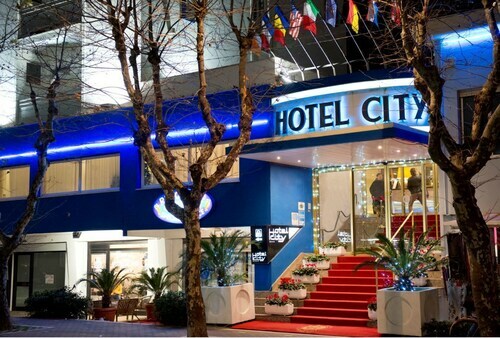 Located in the heart of Pescara, this hotel is steps from Pescara Beach and Fontana La Nave di Pescara. Piazza della Rinascita and Villa Urania Museum are also within 5 minutes. Pescara Central Station is 11 minutes by foot and Pescara Porta Nuova Station is 29 minutes. Situated in Montesilvano, this hotel is steps from Pinewood Nature Reserve of St. Filomena and Montesilvano Beach. Pescara Beach and Montesilvano Convention Center are also within 3 mi (5 km). Situated in Montesilvano, this hotel is within a 15-minute walk of Montesilvano Beach, Montesilvano Convention Center, and Pinewood Nature Reserve of St. Filomena. Porto Allegro Mall and Pescara Beach are also within 3 mi (5 km). Montesilvano Station is 15 minutes by foot. Located in the heart of Pescara, this hotel is within a 5-minute walk of Villa Urania Museum and Piazza della Rinascita. Teatro Circus and Museum of Modern Art Vittoria Colonna are also within 10 minutes. Pescara Central Station is only a 4-minute walk and Pescara Porta Nuova Station is 22 minutes. 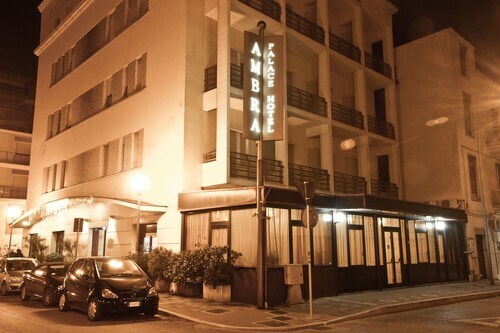 Situated in Pescara, this hotel is within a 10-minute walk of Villa Urania Museum, Piazza della Rinascita, and Pescara Beach. Fontana La Nave di Pescara and Teatro Circus are also within 10 minutes. Pescara Central Station is 6 minutes by foot and Pescara Porta Nuova Station is 24 minutes.